This is my exclusive pack with all the stocks and images that I use in my 3D backgrounds. It is a PSD file that is over 188 MB in size. This is guaranteed to have some stocks that you haven't ever seen before. 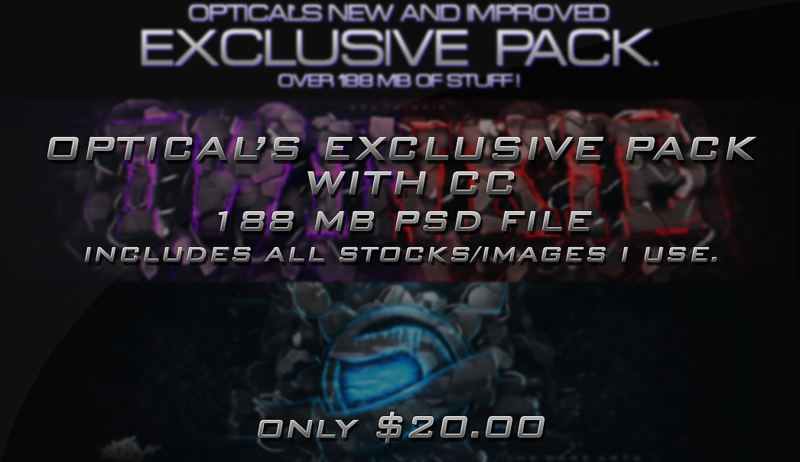 This deal also comes with my newest Exclusive 3D CC. You actually save $5 if you buy my CC with my exclusive pack. All this is only $20.00 (Instead of $25 when buying separately).